When considering CK Special Gases you are evaluating a dedicated niche supplier, specialising in high quality pipeline installation solutions for special gases and gas equipment. We are able to offer full turnkey solutions if required, bringing together our expertise in three core areas of our business – high purity special gas supply, special gas equipment supply and high quality installation supply and management. 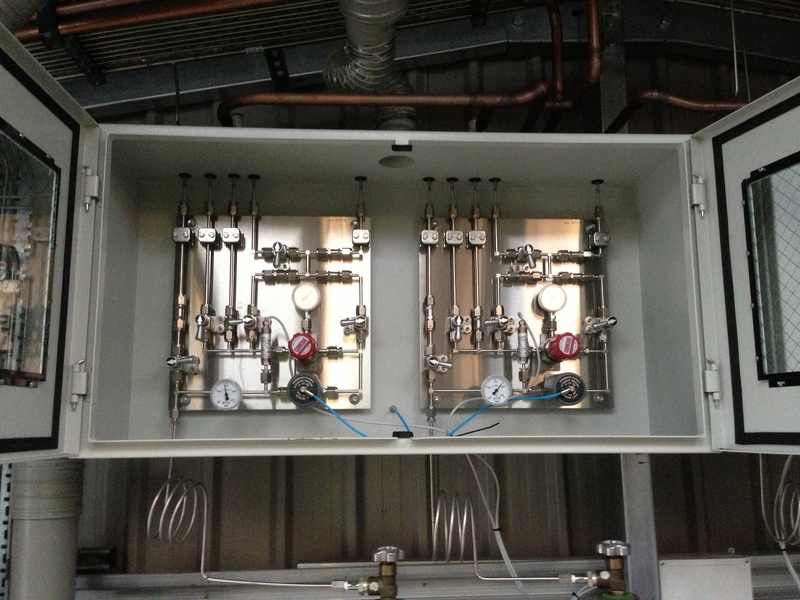 However if you already have a supplier of high purity gases we would be pleased to focus on supplying you an installation that compliments your existing suppliers products – it is essential when dealing with high purity gases that the correct materials are considered both in terms on the pipelines, but also the equipment controlling the processes. Our loyal and demanding customer base ensures we are always seeking to enhance our technical offering; for example, CK Special Gases are able to offer full corrosive gas installations by using the SilcoNert technology developed by CONCOA, meaning absorption of ppb levels into your pipelines and equipment is a thing of the past. Specialist coatings are applied to every part of your installation to ensure that your product does not vary in its purity from point of supply to point of use – this is extremely important when you are considering complex low ppb mixtures containing toxic or corrosive components.